Committee members run for office every 4 years. The next election will be in May 2022 on Primary Election Day. Candidates will be elected to the Democratic Party as Ward Leaders on that day in May; they do not run again in the General Election in November. Where’s the 14th Ward? Here’s a map. You can see where committee seats are. 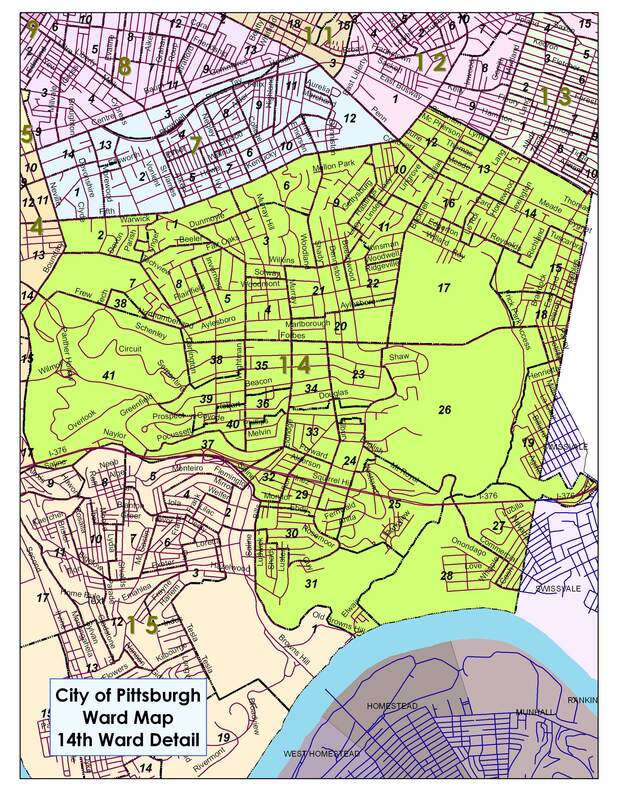 There are two seats per voting district in the ward: one man and one woman. That’s how it’s done so far. Here is a link to a booklet authored by the Committee of 70 in Philadelphia which gives the best, most detailed information about running for Democratic Committee (although you need to ignore the local references to Philly). 1. Get on the ballot by completing nomination petitions Feb-March 2022. Nomination petitions are documents signed by registered voters who live within your District and belong to the Democratic Party. Nomination petitions show that there is enough support for a candidate to require the Election Board to print the candidate’s name for that party’s nomination on the primary ballot in May. You can get nomination petitions from your Ward Chair and you will need a minimum of 10 valid petitions to qualify (so you might want to get 15-20 signatures altogether). Note that there are very strict requirements for nomination petitions; double-check all petitions according to the directions outlined in the booklet, above. If you live in the 14th Ward, you can request nomination petitions from Sam Hens-Greco, 14th Ward Chair at samhensgreco@gmail.com. Sam is also happy to speak with anyone who is interested in joining the 14th Ward Committee and to offer his assistance in getting started. 2. File nomination petitions with the County Board of Election by March 2022. If you miss the March 6th deadline to file your nomination petition to get on the ballot, you still have a chance to run as a write-in candidate. 3. After you file – objections, ballot position and campaigning. Nomination petitions are public documents and can be viewed by anyone. Challengers can take advantage of this opportunity if they think they can knock you off the ballot because of defects in your documents. Where more than one candidate is seeking the same position, they must draw for ballot positions. This drawing occurs shortly after the filing deadline for nomination petitions. Once you are on the ballot, it is entirely up to you to decide how much you want to campaign – if at all. Many people enjoy campaigning for the same reason they like serving as a committeeperson: they get a chance to meet their neighbors and become involved in the political process. On Election Day you can continue to campaign for yourself, as long as you follow state and local rules. Running For Committee Election Dates 2018 includes very important dates for candidates running for Committee. ACDC Committee Handbook has information specific to the Allegheny County Democratic Committee. Allegheny-County-Democratic-Committee-By-Laws were adopted in 2009.